Valentine's Day fever has hit the Parrish household! I was at Target getting non-Valentines-y things when I noticed this $5 Valentine's vinyl tablecloth. "Five dollars?" I said, "I can swing that." 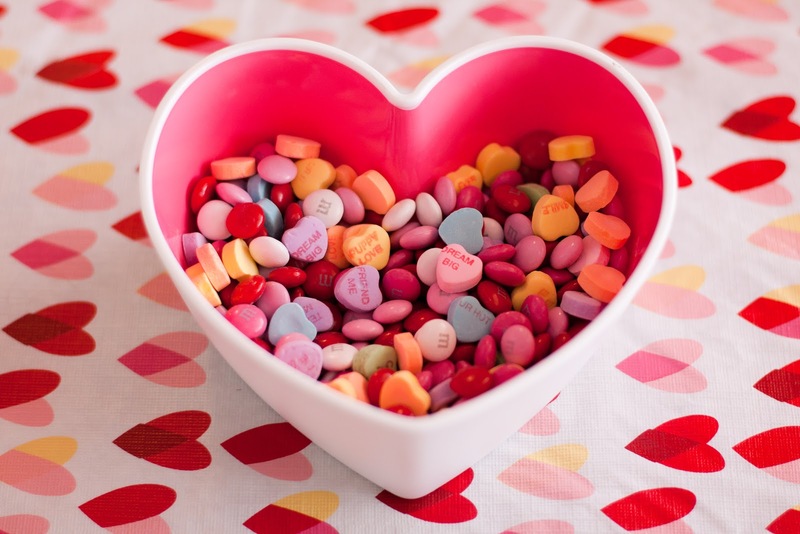 And then there was the $2 heart-shaped bowl that was begging to have candy inside of it. It was all sort of downhill from there. 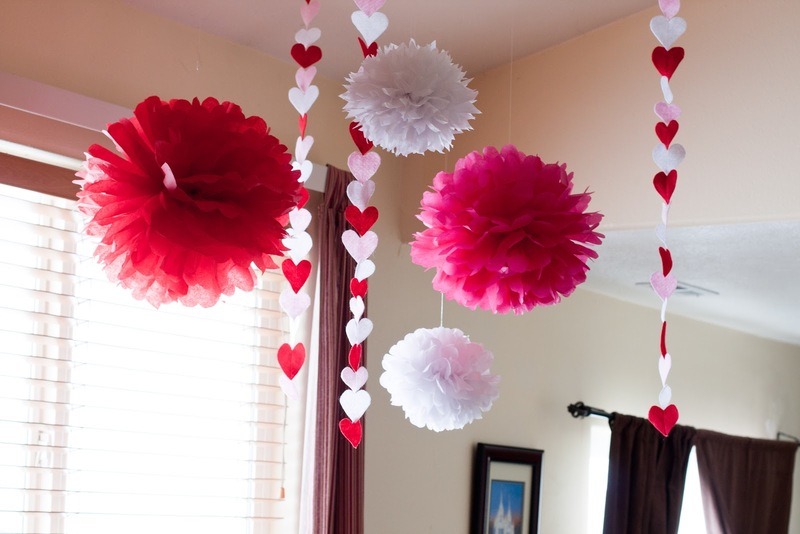 I got crafty for a rare moment and made tissue paper pom poms and felt heart garlands to hang around the house. It's colorful and festive and has bolstered my mid-winter mood splendidly. 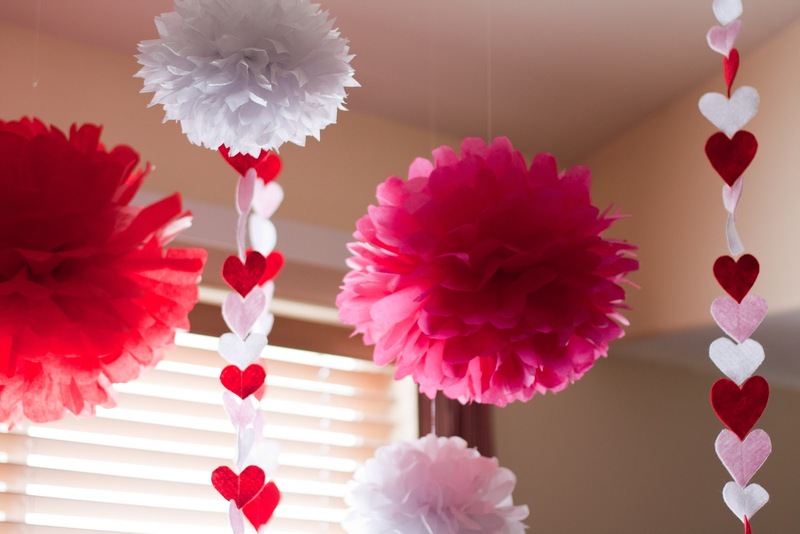 The boys have been churning out valentines like crazy, and I'm planning a fun fondue dinner party for the big day! What's not to love about a holiday about love? No heart-shaped boxes of chocolate needed here! In related news, I've made macarons twice in the past week. The shells keep coming out hollow and I need to figure out why! At least they still taste good. Don't they look like a very Valentines-y treat? Happy Valentine's Day! Now go kiss someone you love!